There’s a superstitious part of me, and a worried part of me. 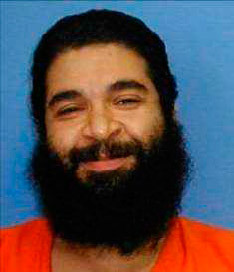 And both parts of me fear this Saturday: it marks thirteen years since Shaker Aamer was airlifted to Guantanamo. 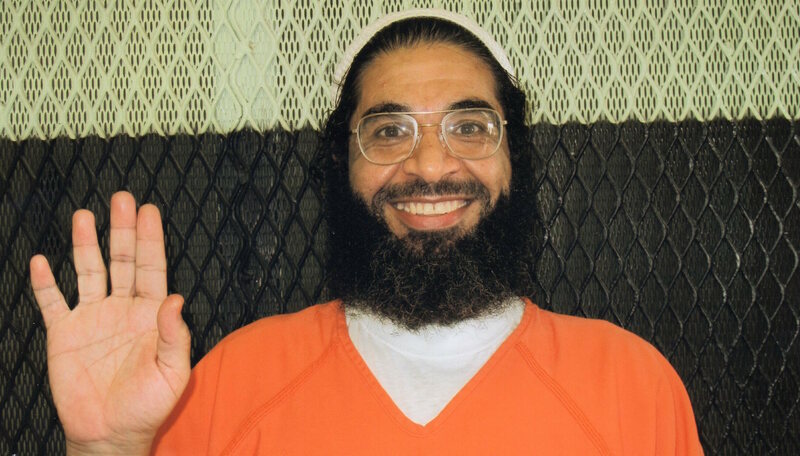 My fear is that in Congress, the fear-mongers who are seemingly relentless in their drive to keep Guantanamo open forever—and to keep Shaker Aamer in detention without charge until he dies. They are encouraging public panic and anxiety over the prospect that anyone at Guantanamo might either go free or face a fair trial. Here comes the fear again. In the aftermath of the Paris attacks, some in the broadcast news media are attempting to turn the public’s shock into full-fledged hysteria – the kind that fuels not only their ratings, but suspicion, hate and a bunker mentality. This Thursday at 1:30p.m. eastern, President Obama will deliver a widely anticipated speech at National Defense University that is expected to address closing Guantanamo, drones and US counterterrorism policy. 1) Forced feeding will stop and the transfer of detainees cleared to leave will resume. There are dozens cleared by the administration to leave the detention facility. Even under current Congressional conditions on transfers, these men can and must be transferred out where there are countries to take them that will respect their human rights. One example is Shaker Aamer. He has been cleared for transfer under the Bush and Obama administrations, and the British government says he should be free with his wife and children in London. Why has he not been transferred there? Instead of brutal force feeding of detainees, it’s time to fulfill human rights. Late last night, President Obama signed the 2013 National Defense Authorization Act (NDAA) into law with provisions that restrict the transfer of Guantanamo detainees and further impede closure of the prison. Furthermore, nothing was done to correct provisions in last year’s NDAA that further entrench indefinite military detention, unfair trials, and the U.S. government’s “global war” framework, in U.S. law. The “global war” framework— which holds that the U.S. government is engaged in a global, pervasive, never-ending “war” with al-Qaeda and other vaguely defined groups and individuals—was first articulated by the Bush administration and has been embraced by the Obama administration. Expressed in the 2001 Authorization for Use of Military Force and reaffirmed in the 2012 NDAA, this “global war” doctrine is used to justify everything from killings with drones to detention without charge at Guantanamo to renditions (still happening, according to a Washington Post report) to impunity for crimes under international law, including torture and enforced disappearances. 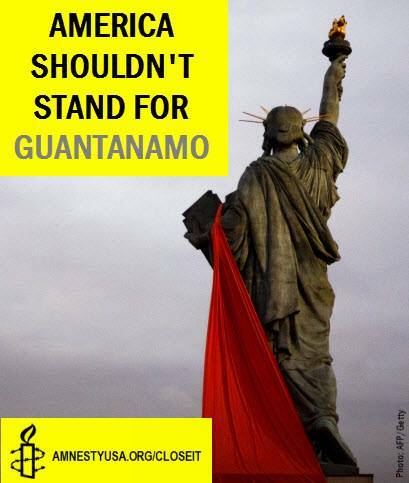 Protest in Washington DC of the 9th anniversary of the Guantanamo prison. On Wednesday, a U.S. judge ruled that a provision in the 2012 National Defense Authorization Act (NDAA) that authorizes indefinite detention is unconstitutional, and blocked the government from using the provision to hold people without charge. The ruling is a major win for the movement to end indefinite detention, which for over 10 years has been a hallmark of the human rights vaccum at Guantánamo and was codified in U.S. law last year by President Obama and Congress. Shamefully, the Obama administration has appealed. Why care about indefinite detention? Imagine you were locked up, accused of—but never charged with—a crime, and denied a fair trial to make your case. Seem farfetched? Terry Rockefeller (left) with her sister Laura. Photo courtesy of September Eleventh Families for Peaceful Tomorrows and Terry Rockefeller. It has now been eleven years since the September 11 attacks. 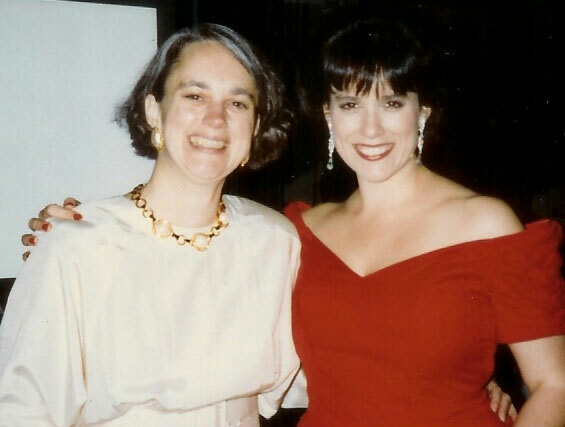 I still think about that morning every day. I could see the Towers from my living room, and from my walk to the subway. In my mind, I see the first Tower on fire. I see the second fall. I think about all the people who lost their lives, all the survivors and all those who lost loved ones. Will their rights to justice, truth and redress ever be fulfilled? I also think about all those who have suffered from the U.S. government’s response to the attacks. 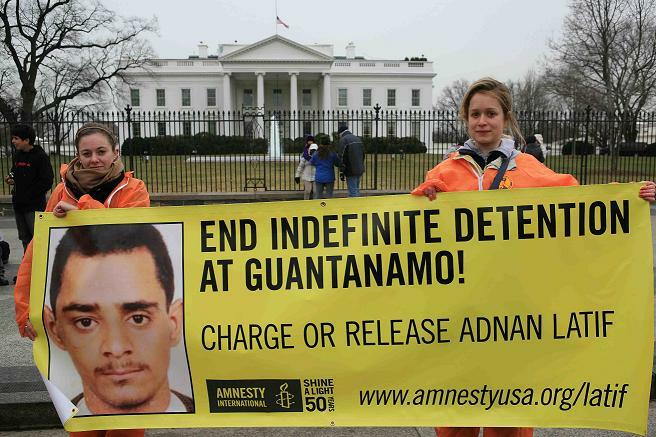 Will indefinite detention, unlawful drone killings and impunity for torture ever end? Yup, it’s that time of the year again: the sun is shining, birds are singing, school’s almost out, and elected officials are trying to take our human rights away. It’s NDAA time. 1) If you’re an NDAA junkie, and already know that the Smith/Amash effort to improve the NDAA just lost in the House this morning, then sign this action calling for repeal of Sections 1021 & 1022. 2) If you have no idea what I’m talking about then keep reading for an NDAA 101. 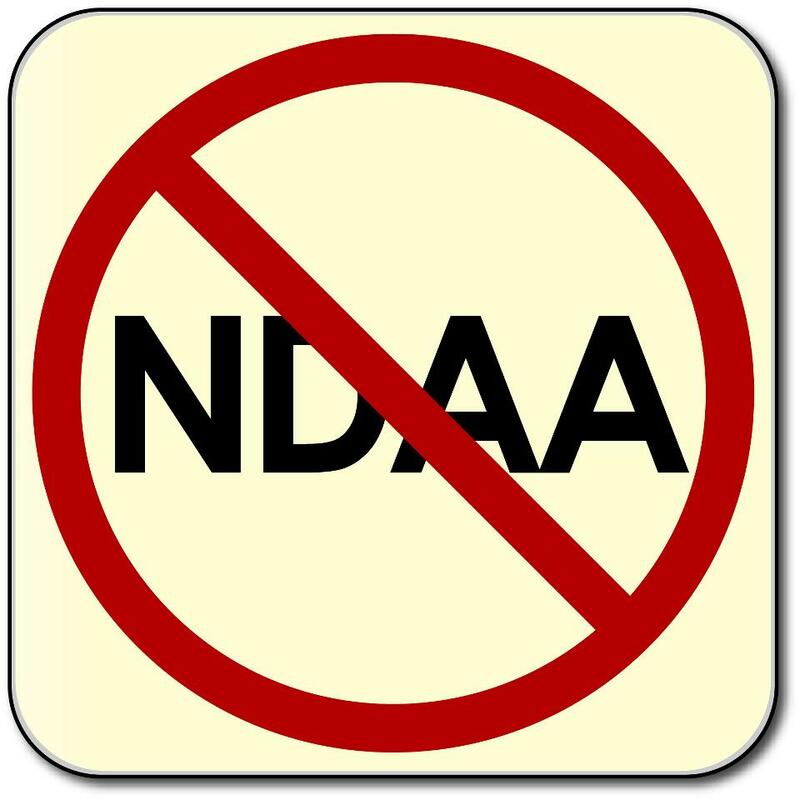 The National Defense Authorization Act (NDAA) is an important piece of legislation passed every year to authorize defense expenditures. In and of itself, it’s not a big deal. But it often gets hijacked for other purposes (see Wikipedia entry for Pork barrel) and sometimes for really bad ones–and thus our story begins. Last year a bipartisan group led by Senators Carl Levin (D-MI) and John McCain (R-AZ) passed amendments to the 2012 NDAA that dealt with how the government detains suspected terrorists. The detention provisions, specifically Sections 1021 and 1022–signed in to law with the rest of the NDAA by President Obama on New Year’s eve while most of us were in Times Square–further entrenched indefinite detention, discrimination based on citizenship, and the paradigm of global unending war in US law. Can US Citizens Now be Detained Indefinitely? There has been a great deal of confusion over whether the indefinite detention provisions in the 2012 National Defense Authorization Act (NDAA) apply to US citizens or not – the simple answer is that it is too early to tell. The NDAA provisions greatly strengthen a framework for detaining suspected members of Al Qaeda or its affiliates that is derived from the law of armed conflict. Under the law of armed conflict belligerents can be detained until the conflict ends or until they no longer pose a threat. The NDAA drafters draw a clear distinction between US citizens and non-US citizens which is itself problematic since equality before the law is one of the most fundamental principles of justice and a core human right. The NDAA “requires” that non-US citizens be treated as enemy combatants rather than as criminal suspects unless the President issues a waiver in the interests of national security. Next Wednesday will mark the tenth anniversary of the arrival of the first detainee at the military prison hurriedly erected on the arid scrubland of the United States Naval Station at Guantanamo Bay, Cuba. In the past decade more than 775 individuals have made that journey, the vast majority have been released without charge after years of harsh captivity, 171 still remain – many cleared for release by the military but trapped by the restrictions placed on their resettlement by Congress. The last prisoner arrived in Guantanamo in March 2008 but this spring we can expect the first new arrivals in four years to start trickling into the facility. The passage of the 2012 National Defense Authorization Act (NDAA) means that Gitmo has now been reopened for business.